Thomson, GA -Harold Whitney Wallace III (Chip,) 68, was born August 29, 1950 in Munich, Germany to the late Harold Whitney Wallace, Jr. and Betty Hooton Wallace of Madison. He died Thursday, September 13, 2018, in Madison, Georgia. After graduation from the University of Georgia he served as an officer in the United States Air Force. While serving in the Air Force he received his Master’s Degree in Counseling at Eastern Illinois University. Upon leaving the air force he attended law school at the University of Tulsa. Before entering into private practice he clerked for the honorable Judge Hugh Thompson. In July of 1981, he moved his family to Thomson, Georgia where he made his home. 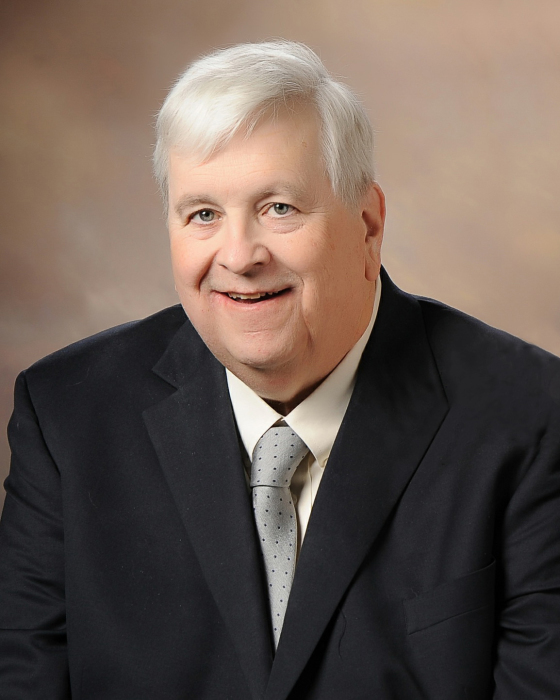 Through his years as an attorney he worked as a district attorney, spent many years in private practice, and finished his career as the Circuit Public Defender for the Toombs Judicial Circuit. He was preceded in death by his parents, Harold and Betty Wallace. He is survived by his wife of forty-five years, Nancy of Thomson, Georgia. He is also survived by his son Whitney (Lindsey,) daughters Kimberly (Marc), and Courtney (Matt) and his five grandchildren, Matthew, Wallace, Lila James, Ellie, and Quentin. He is also survived by his brother Richard (Rebecca). He is also survived by his beloved dog, Jinx. There will be a memory of life held at Beggs Funeral Home in Thomson, Georgia on Wednesday, September 19, 2018 at 10:00 a.m., followed by a graveside service at the Madison Cemetery, Madison, Georgia at 3:00 p.m..
Memorial contributions may be made to the Michael J. Fox Foundation for Parkinson’s Research. Beggs Funeral Home, 799 Cobbham Rd., Thomson, Georgia is honored to serve the Wallace family.